MyTeamSafe is a comprehensive lone working solution for organisations to prove their duty of care. It is for any staff that work independently or without direct supervision, even occasionally. 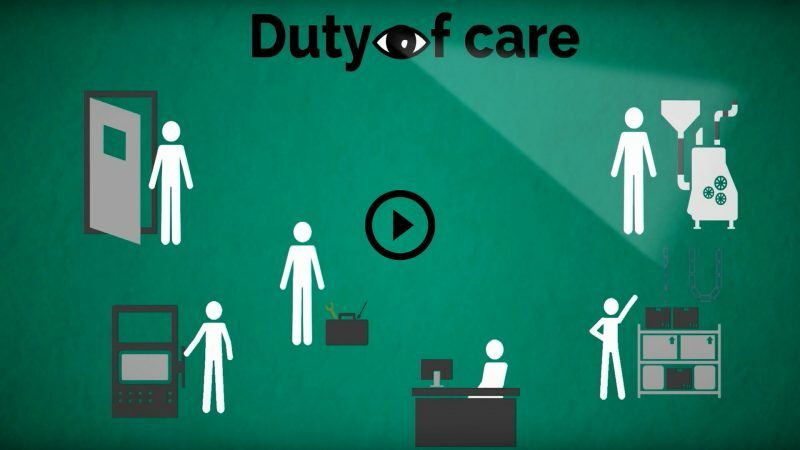 Duty of care might be a legal obligation, but it doesn't demand impersonal call centres. It is about reassuring staff and knowing that they are OK.
A flexible Lone Working solution that enables you to set up how you want to protect your Lone Working staff. You keep control of your staff’s safety in line with your requirements, ensuring your Duty of Care. Simple to use safety app with text fall-back. Staff must check-in regularly. Late check-ins are automatically escalated according to your rules. These can be app notifications, emails and text (SMS). Central Dashboard with live tracking. Safety reporting and User administration. You may want help fast. Activate the panic button and your supervisor will be alerted immediately. You keep control of the situation and how to respond. The Lone worker starts each session as required. There is an Auto Start function for those staff that are forgetful. Optional location tracking (GPS) is available enabling real-time tracking via the dashboard. It’s sometimes said you can’t put a cost on Safety but with MyTeamSafe you can. A true lone working solution that only costs from £2.50 per User per month. No hidden costs. No need to monitor the system. Set and forget. MyTeamSafe Lone Working App ensures that your lone working requirements are fully satisfied. You create different escalation strategies to meet your range of lone working scenarios. So, you decide how often Users need to check in. Then when who and how escalations are handled if they are late using push notifications, emails and SMS. 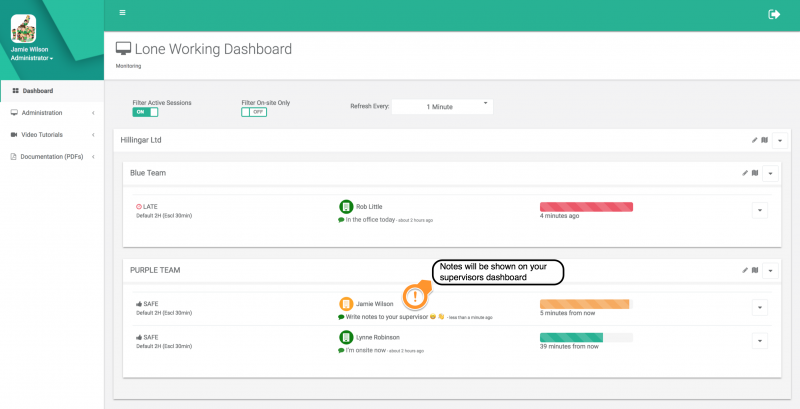 Users can write notes that are logged and appear on the dashboard. Amber notes are also emailed to the Supervisor. Red notes are immediately sent by text and emailed to the Supervisor. Green – general information on current activity or changes to a plan. Amber – important information the Supervisor needs to be aware of but not critical. Red – urgent information but still not a panic scenario. You have the same duty of care for all your workers, not just the ones that you can see around you. These situations might not be dangerous but, even with a minor incident, the business is still responsible. Lone workers are particularly vulnerable, even for short periods of time. Each violation could cost your business an unlimited fine. By law, you are responsible to protect your staff’s welfare. Until recently fines were capped at £20,000. They are now unlimited! Can you afford to ignore the risks of your lone workers? 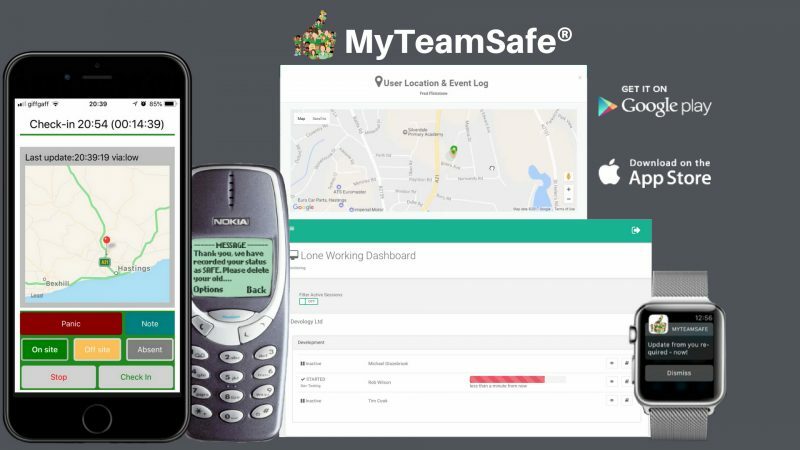 MyTeamSafe monitors your staff safety through a lone working app and web dashboard. You keep control, not costly impersonal call centres (ARCs). Feedback shows that lone workers are significantly more comfortable using a safety app where their “buddy”/supervisor is their point of contact if something goes wrong, rather than a remote third party. Find out today how easy it is to protect your staff and your business. Under the Health and Safety at Work Act 1974 and the Management of Health and Safety at Work Regulations 1999, employers have a legal duty to assess all risks to health and safety, including the risks of lone working. You could face an unlimited fine for not carrying out suitable and sufficient risk assessments or putting in place adequate safe systems of work. It takes less than 15 minutes get setup and go live. 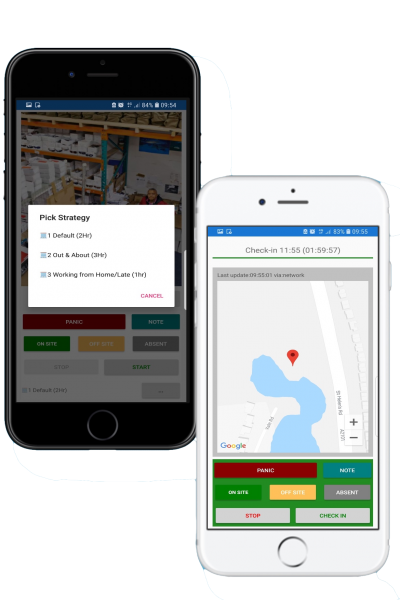 A simple safety app with quick check-in at user defined intervals or Panic Alarm. Keep control with total flexibility. Suitable for all sizes of business, just Set & Forgot. No need to monitor! Informative notifications are only triggered if check-in rules aren’t met. Central web dashboard allows you to manage & monitor users as well as their locations. and immediately protect your employees & your business.